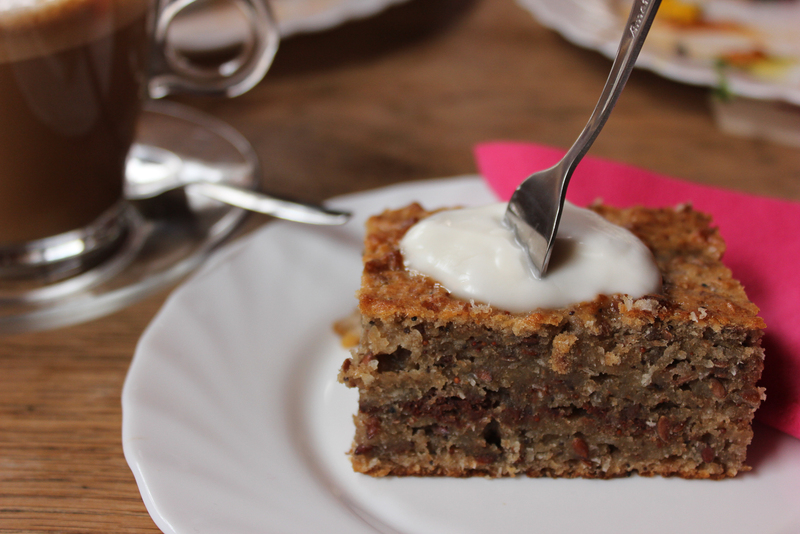 Home » Vegan lunch at cozy Café Saarein! Vegan lunch at cozy Café Saarein! Of course I like to support 100% vegan places. Owned by fellow vegans, my kind of people. But what I just love love is when traditional places start to offer vegan options as well. 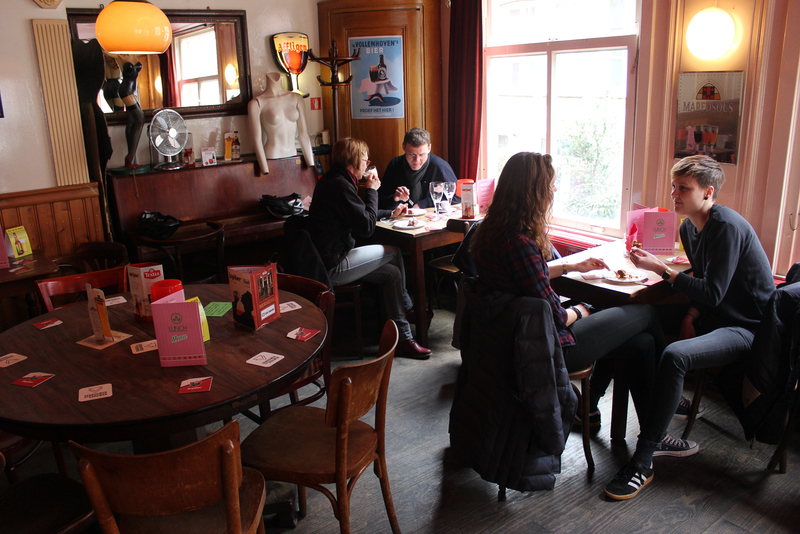 One of those places is Café Saarein, which is offering vegan lunch every Saturday, already since quite a while. 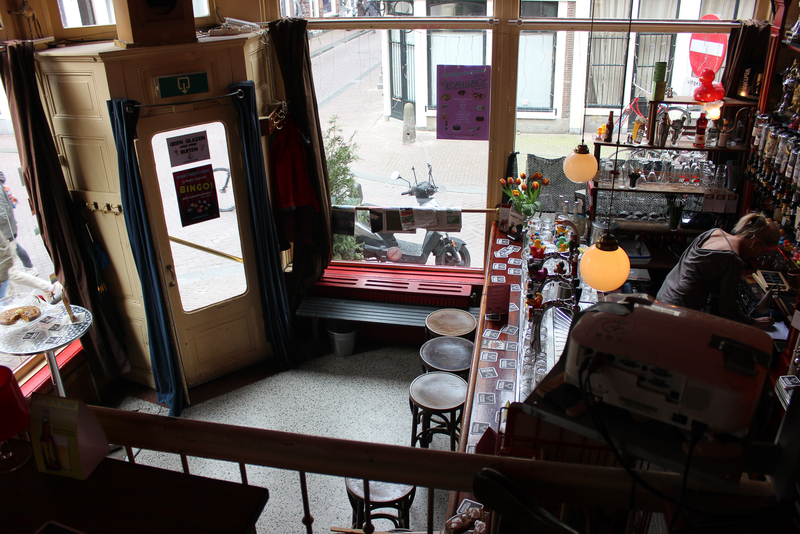 Saarein has the looks of a typical traditional Jordaan café. 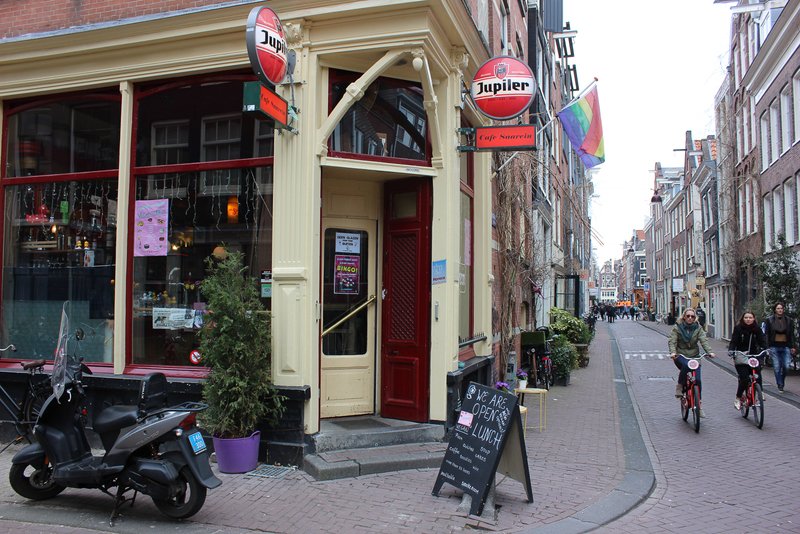 However it has a big (non-typical) history as it started out as a ‘women-only’ café – a lesbian bar. That was in 1978, nowadays everyone is welcome though it still proudly carries that identity. 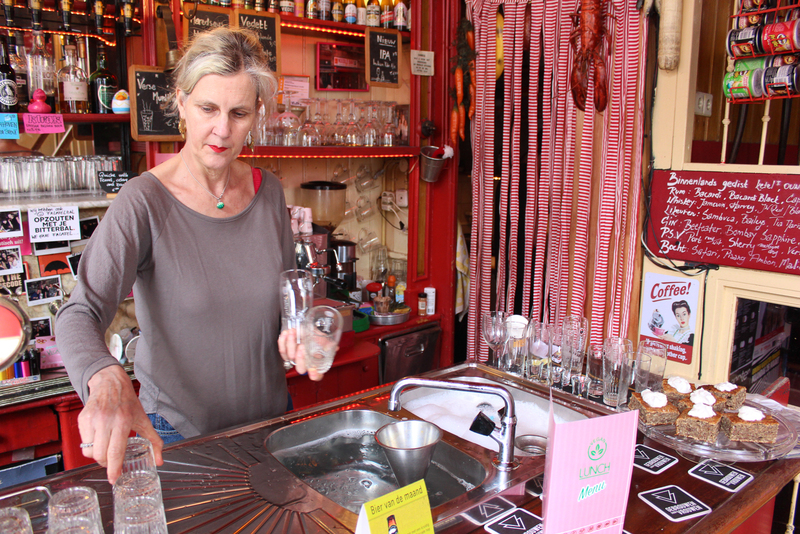 Barwoman Nicole Roozemond is vegan herself, she’s been doing bar three days a week at Saarein for six years now. Her other job is working as a freelance chef. She came up with the idea of a weekly vegan lunch and first started doing so in January. All food is made by herself! There’s plenty of stuff to choose from. 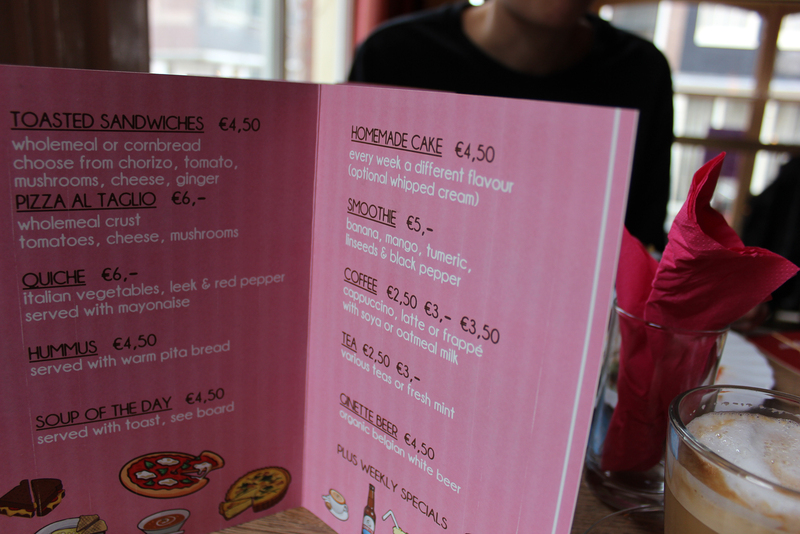 Savoury options like pizza, quiche, soup, and various sandwiches. But also homemade cake, smoothies and stuff. 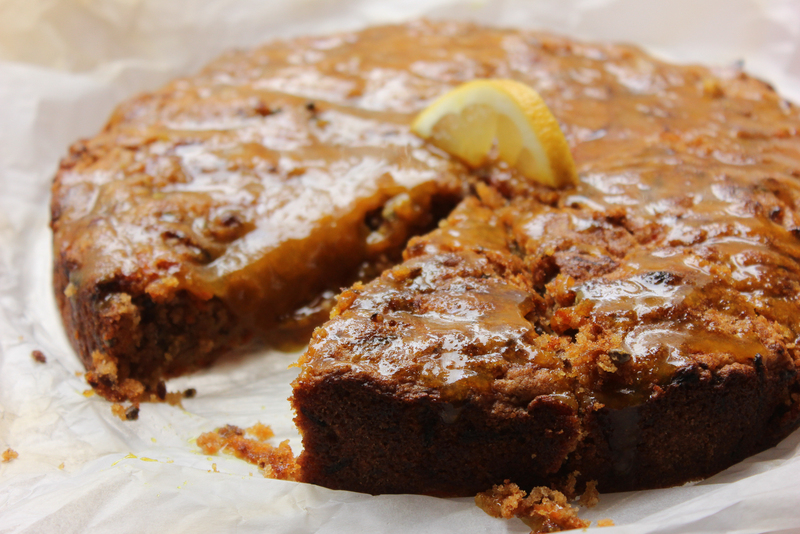 Her specialties are carrot cake and pulled mushroom with pita, couscous, pickled veggies and mango chutney! 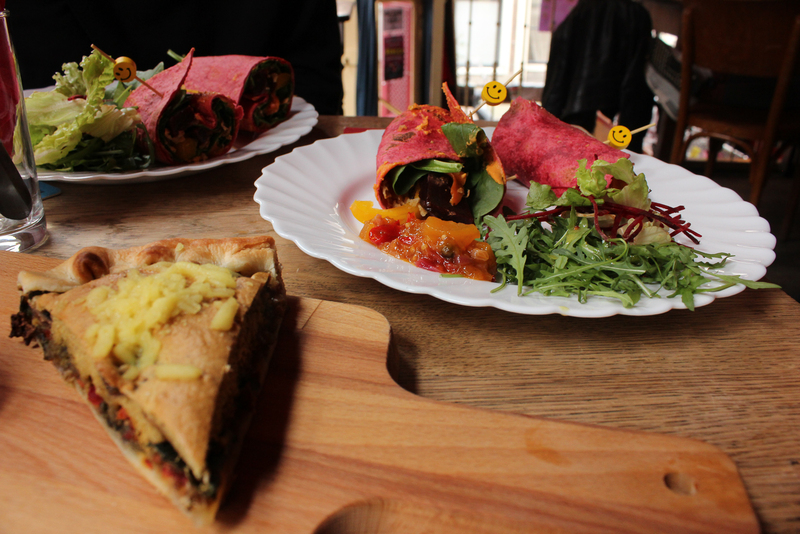 The menu on the other days is not fully vegan but the vegan pizza, quiche and falafel (as a snack) is always available. 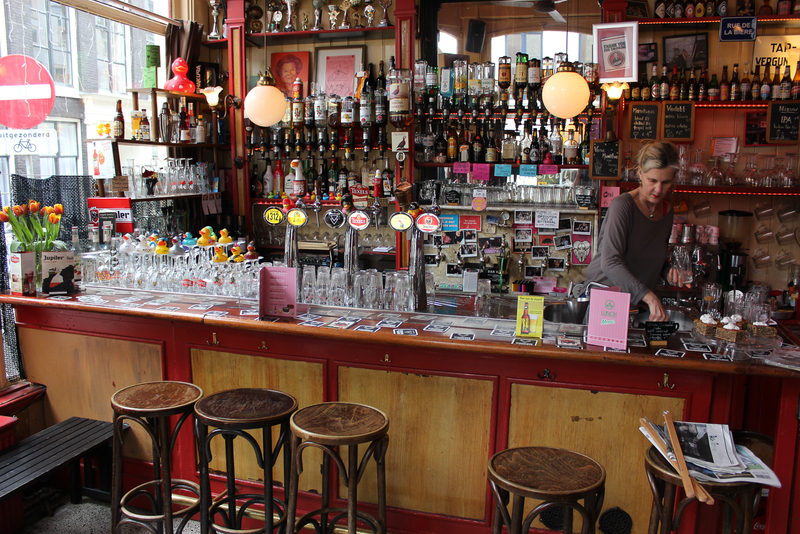 The nice thing about this being in a bar is, you can enjoy a freshly tapped beer with your lunch or stay for drinks afterwards! Fine dining at vegan pop-up Sproutsiders!